7 Kids and Us: Lil Teammates Gift Sets for the Sports Fan & Giveaway! 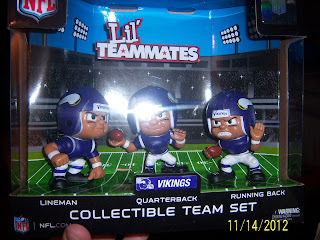 Lil Teammates Gift Sets for the Sports Fan & Giveaway! Are you ready for some FOOTBALL??? At Party Animal Inc they have cool NFL figurine sets! 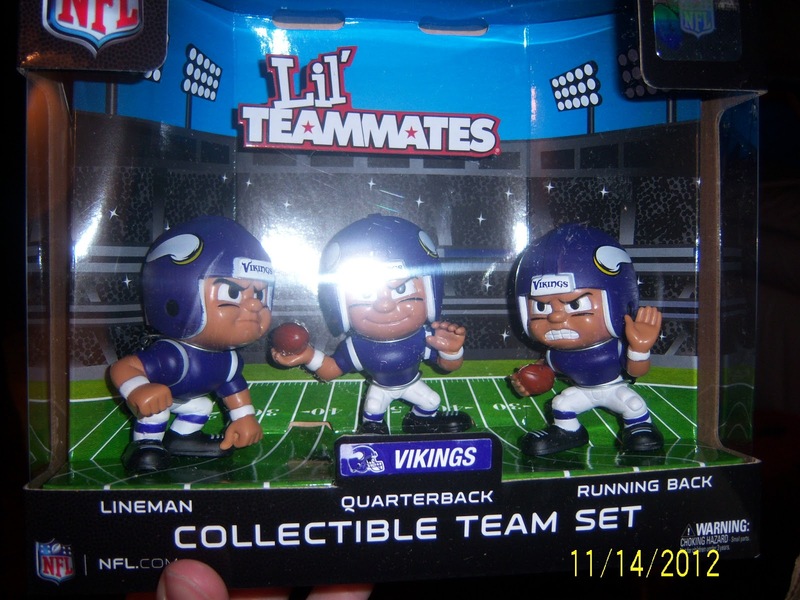 Each set has the 3 positions; lineman, quarterback and running back. Party Animal Inc Lil Teammates which is the NFL sets can be moved and positioned how ever you need to make that final touch down against the other team! Your choices are: Packers, Vikings, Dolphins, Giants, Bears, Broncos, Bengals, and more only 22 teams to choose from but they are working on the rest. 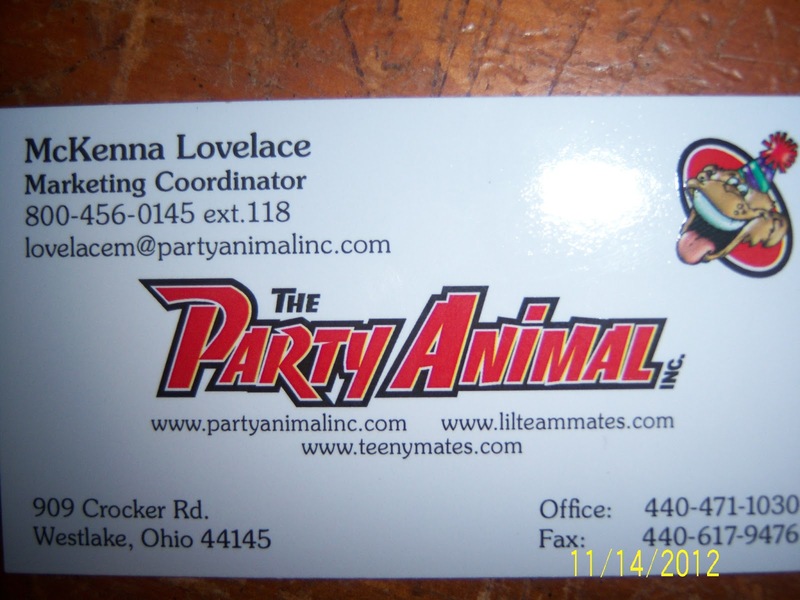 Party Animal Inc does however have singles in other NFL teams! They carry throwbacks also! The set I received will be for my husband he loves the Vikings so this is his totally AWESOME set which will be a great addition to his man cave! On top of the very cool Lil Teammates, Party Animal Inc carries sports garden banners, banners and applique banners! All are great quality that will last through all weather. Your choices are not limited to only Football, you can also choose NHL, MBA, College Football (whoo Go Gators!) and Baseball! This is the perfect gift for any guy, kid or fan of sports! To top off how great a company and its products are from Party Animal Inc, they are doing a giveaway for a chance for 2 people to win a set of their own! Open to U.S. residents only ends November 26th Cyber Monday! My son or nephew would get this. My son would love this! Thanks so much for the fantastic giveaway! This would be for my hubby, he would love these in his man cave lol. ROLL TIDE!!! I would LOVE to give this: http://www.partyanimalinc.com/product-detail.aspx?i=4142 to my middle daughter! She is a HUGE Alabama fan!!! I like the Patriots! And I would get this for my son who is a huge fan of them as well! The New England Patriots and my son would love this!